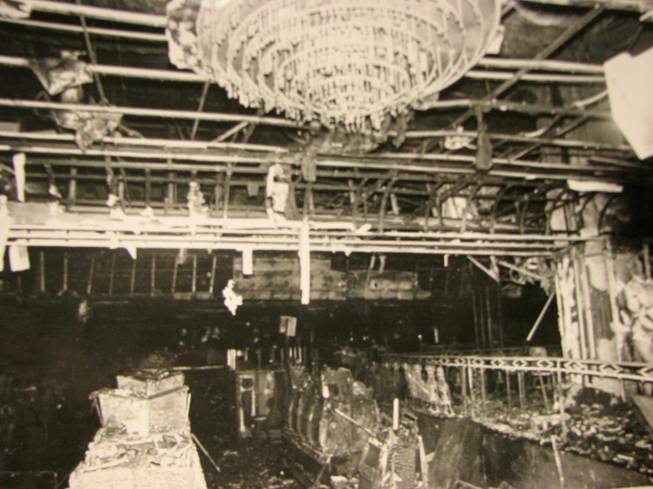 The casino and restaurants were not protected by a fire sprinkler system because they were exempt from rules requiring fire sprinklers in areas occupied 24 hours per day. A Clark County building inspector granted the exemption—despite the opposition of fire marshals—reasoning that a fire would be quickly noticed by occupants and contained with portable fire extinguishers. 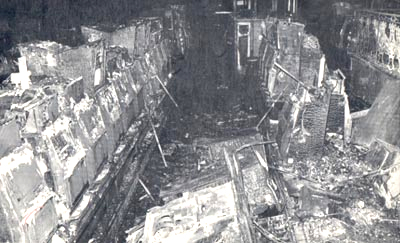 When the fire broke out in the deli, it was no longer open 24 hours per day. It was closed and unoccupied. 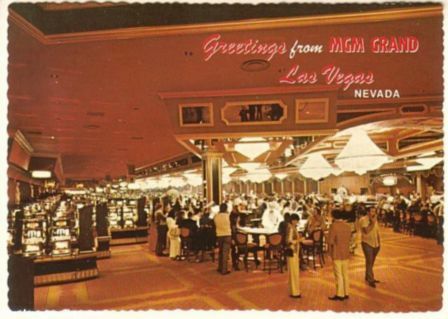 One of the very few photos I’ve ever seen of the casino interior of the MGM, pre-fire. Since photography was prohibited by casino guests back then, it’s understandable that not many images exist. 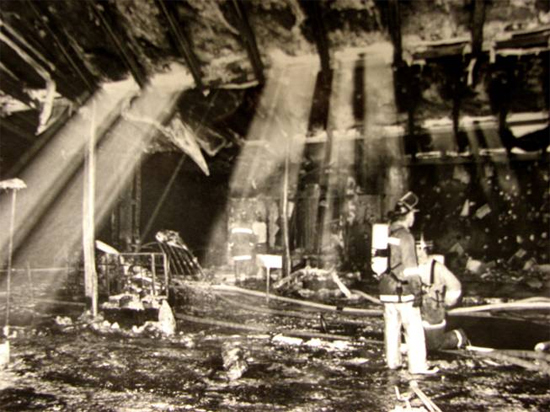 Victims of the fire filed 1,327 lawsuits against 118 companies, and money from all the companies went into a $223 million settlement fund that was distributed to the victims and their families within three years of the fire. Does that make up for the needless fiasco? Absolutely not…and to think that all of this could’ve been avoided by the installation of a $200K sprinkler system. 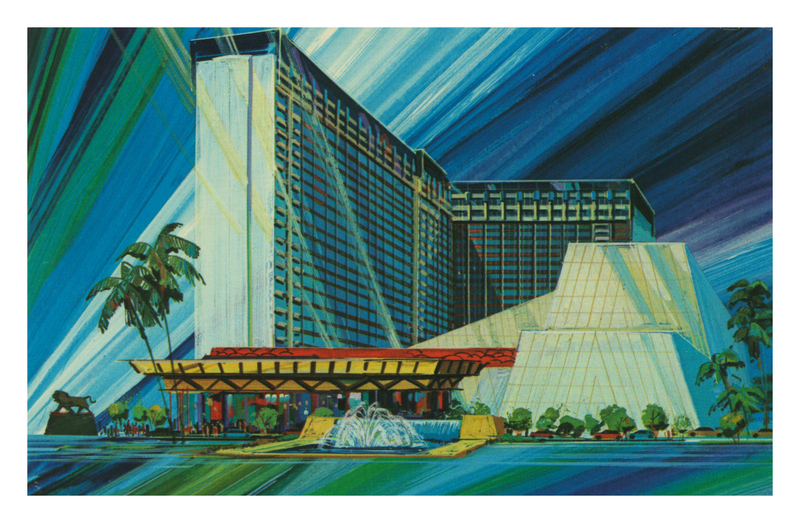 More than that was spent on the opening night festivities of the hotel on December 5, 1973 alone. 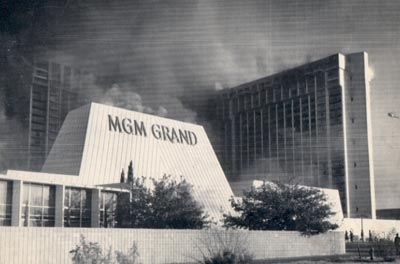 The stigma of the fire severely impacted the business of the re-opened MGM Grand in 1981, and Kirk Kerkorian soon set out to sell it and build a new, larger, more modern MGM Grand. 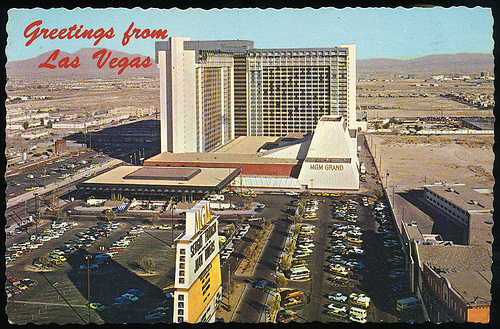 The current MGM Grand is on the south end of the Strip and opened in 1992, almost 20 years after its namesake. 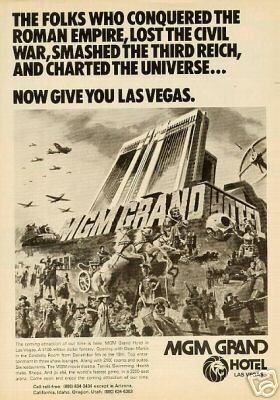 MGM as a corporation now owns almost half the hotels on the Strip, including Bellagio, Mirage, Mandalay Bay, Luxor, Excalibur, Monte Carlo, New York-New York, Circus Circus, and all the hotels and condos at City Center. At age 95, Kerkorian is intensely private, yet still very active as a minority owner of the MGM corporation. Is it just me, or does this advert for the opening hotel look eerily like a disaster movie poster? I’ll close with some photos from the aftermath of the fire. 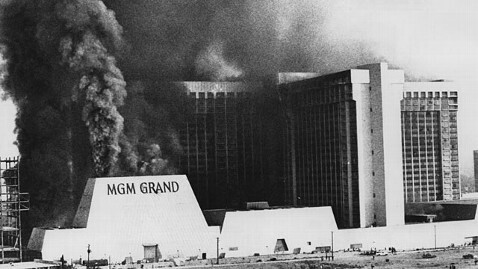 These are certainly not shared to glamourize the tragedy; rather, I think it’s important that we learned so much about fire safety and prevention from this disaster, especially as far as hotels are concerned. 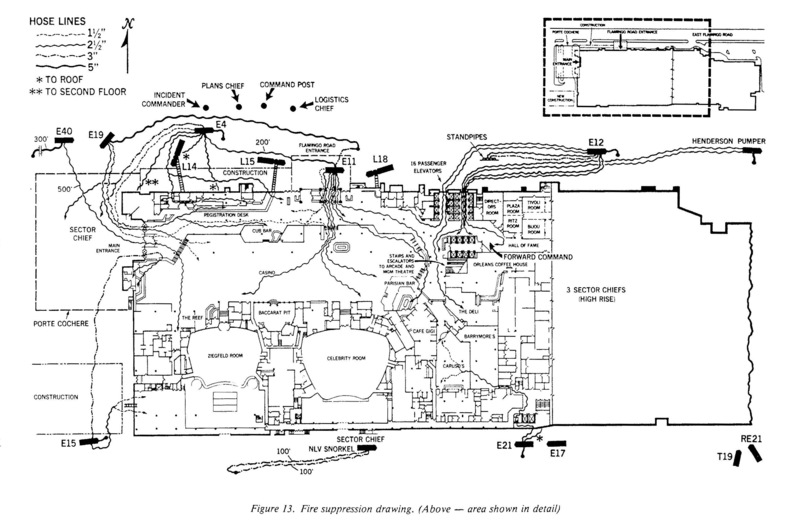 *Here* is also a great Web site with many facts about the fire and what was learned from it, from an emergency preparedness standpoint. This is a graphic from the Web site I linked to above. 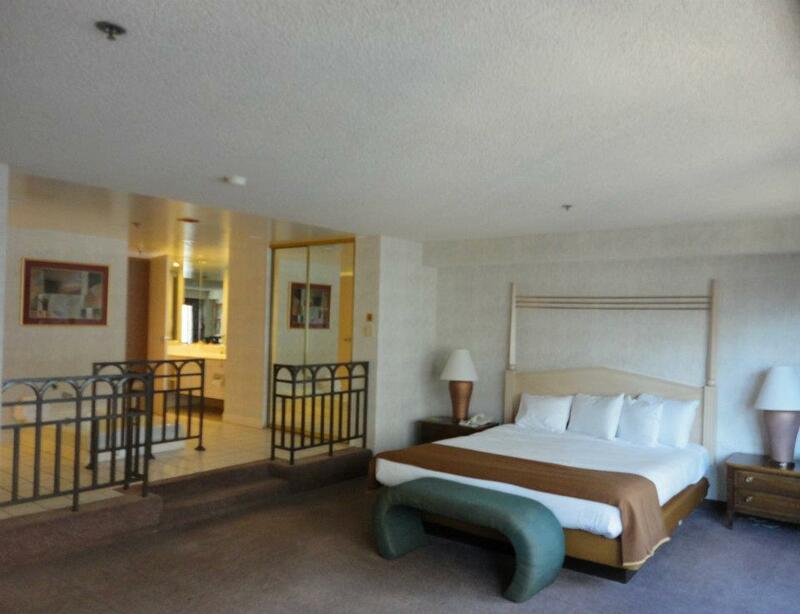 The overall layout of the hotel remains mostly the same after almost 40 years. Even the deli where the fire started is still a small restaurant. 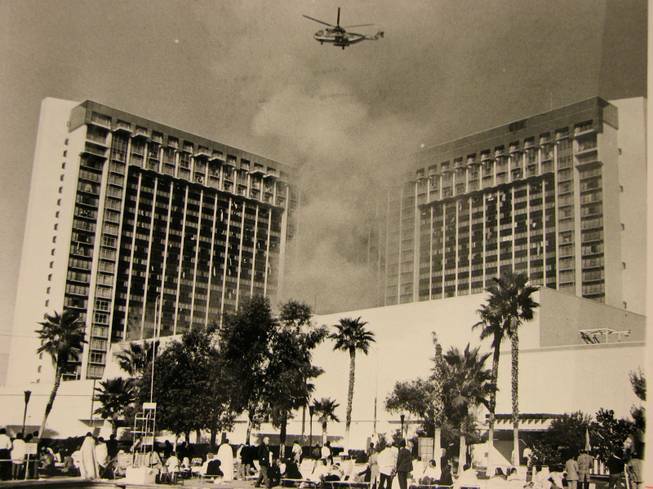 MGM Grand porte cochere post-fire…notice the car’s wheels, among other things. 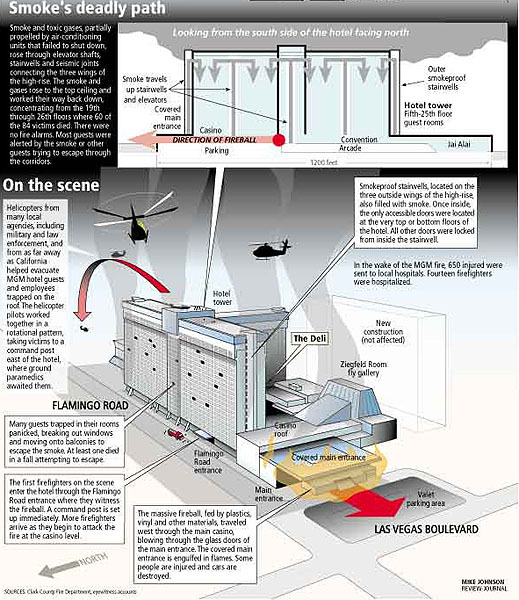 300+ people were rescued from the roof of the hotel via helicopters, including several from Nellis AFB in north Las Vegas. 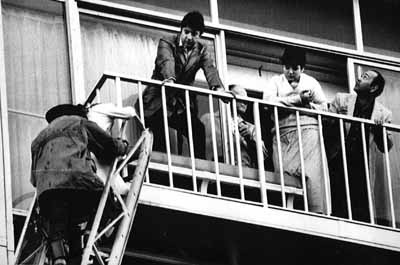 Provided caption: “Las Vegas, Nov. 21 1980- Rescue Arrives-Hotel guests, stranded on one of the lower floors of the MGM Grand Hotel and Casino, wait their turn to be rescued by firefighters Friday as a raging fire sweeps through the MGM Grand Hotel in Las Vegas. 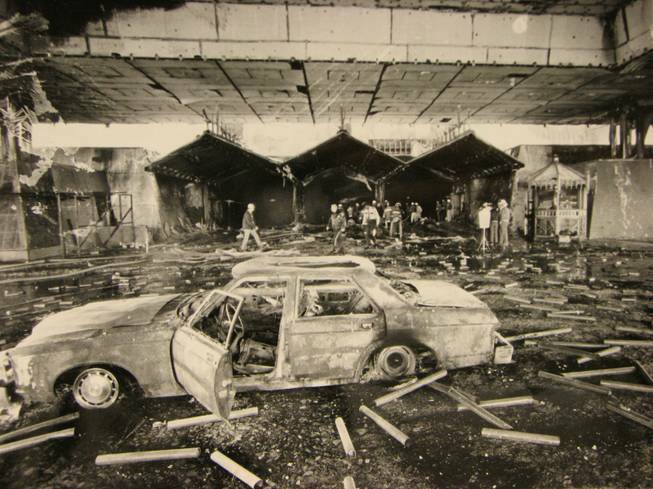 Over 75 people have died in the fire with hundreds injured. 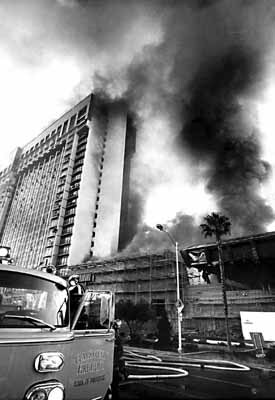 Fire equipment could only reach nine sotries of the 26-story hotel.” All the balconies are sealed off these days, for better or worse. 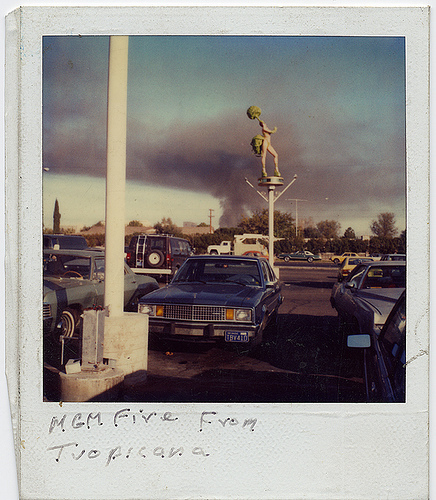 Polaroid someone took from the parking lot of the Tropicana, which is adjacent to the current MGM Grand. 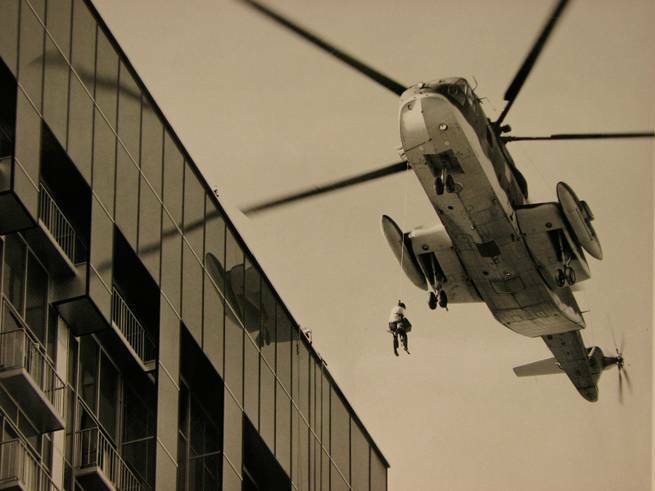 I’m always amazed when photos like this show up online. 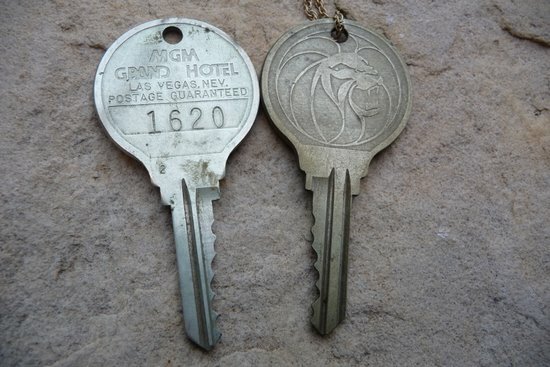 Keys from the MGM Grand…I’ve read at least one account of how a survivor kept her room key to remind her how she cheated death that fateful day. That’s all for this week. Maybe I can stick to my promise next week and write about something Southern or aristocratic. One can hope! Thanks for commenting, Todd. Your blog was very helping in preparing mine–I think I paraphrased you once, and I was glad to link to your informative blog entry. thanks for the history lesson. 🙂 Seriously, that was very interesting…I didn’t know the full story until I read this. Thanks.